Keeping a room all white gives you the freedom to play with pattern on a surface without suffocating the space. The contrasting geometric patterns on the floors of these bathrooms are an excellent example. 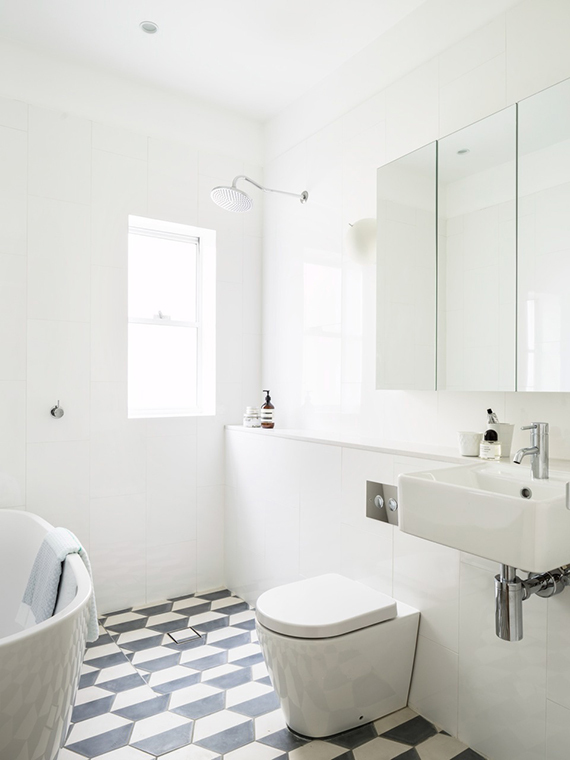 If you are interested to read more on this subject, I have written an article on eclectic bathrooms with patterned tile floors on The Interior Collective blog. Check it out here and leave your thoughts! 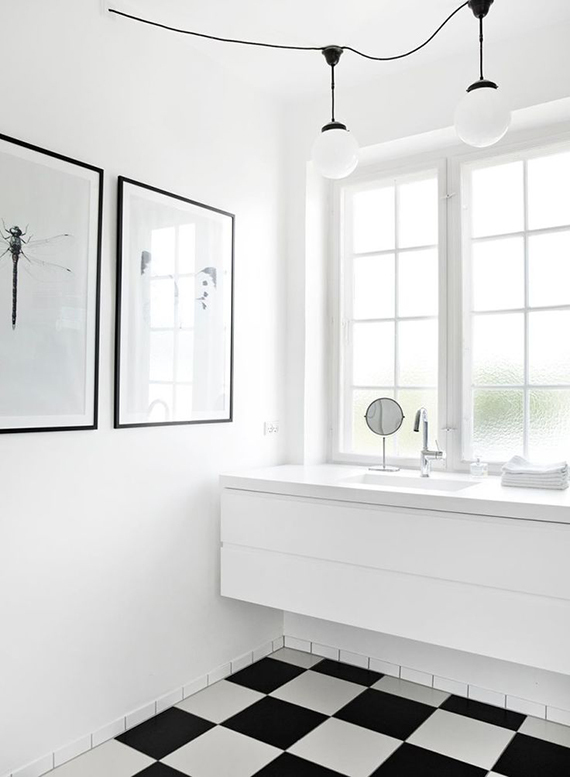 4 comments on "White bathrooms with b&w patterned floors"
This is truly awesome designs about the floor designs.i ll forward this blog to my friend for look a classic bathroom floor design. Great combination of white and black colour . Bathroom design is so elegant. Nice post! Hey Eleni, Its a stylish bathroom and also the great combination of B&W enhance the beauty.